Halas is the Stanley C. Moore Professor of Electrical and Computer Engineering and professor of chemistry, bioengineering, physics and astronomy, and materials science and nanoengineering. She also is director of Rice's Smalley-Curl Institute. Halas will receive the award at the society's 257th ACS National Meeting in Orlando in April. The prize is sponsored by the Colgate-Palmolive Company. 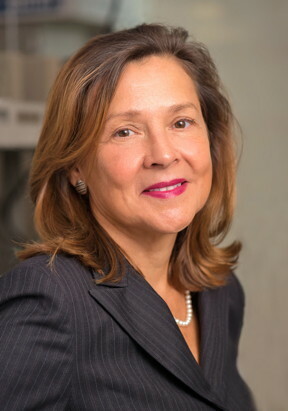 A pioneer in the study of light-activated nanoparticles and their possible uses, Halas is the first person in the university's history to be elected to both the National Academy of Sciences and the National Academy of Engineering for research done at Rice. Her discoveries have wide-ranging applications in areas as diverse as cancer treatment, optoelectronics, photocatalysis, chemical sensing, solar-powered distillation and steam production, and off-grid water treatment. Located on a 300-acre forested campus in Houston, Rice University is consistently ranked among the nation’s top 20 universities by U.S. News & World Report. Rice has highly respected schools of Architecture, Business, Continuing Studies, Engineering, Humanities, Music, Natural Sciences and Social Sciences and is home to the Baker Institute for Public Policy. With 3,970 undergraduates and 2,934 graduate students, Rice’s undergraduate student-to-faculty ratio is just under 6-to-1. Its residential college system builds close-knit communities and lifelong friendships, just one reason why Rice is ranked No. 1 for lots of race/class interaction and No. 2 for quality of life by the Princeton Review. Rice is also rated as a best value among private universities by Kiplinger’s Personal Finance. To read “What they’re saying about Rice,” go to http://tinyurl.com/RiceUniversityoverview Follow Rice News and Media Relations via Twitter @RiceUNews..